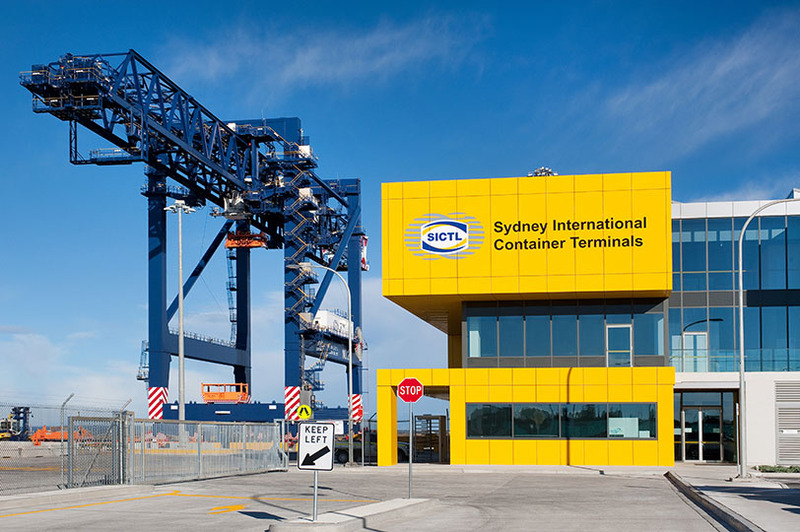 Sydney Port Botany Container Terminal Three is a state significant project negotiated between Grindley Construction and the Client Hutchinson Ports trading as Sydney International Container Terminal Limited (SICTL). 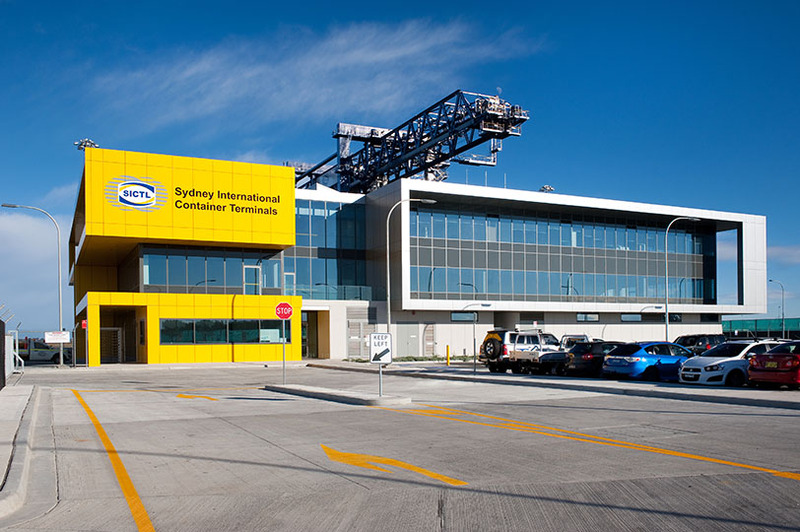 The brief was to provide five buildings for the newly created Port Botany container terminal, located adjacent to the existing port facility. 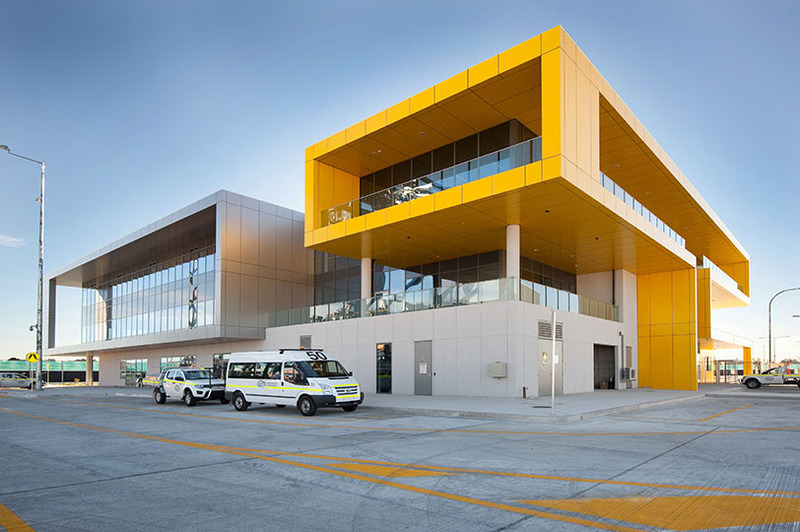 The works involved the in situ construction of an Operations Building and Maintenance Building, as well as the prefabrication, transportation and delivery of a combined Exit Gate House and Australian Quarantine Inspection Station (AQIS), a Drivers Amenities Building, and a Rail Depot Building. 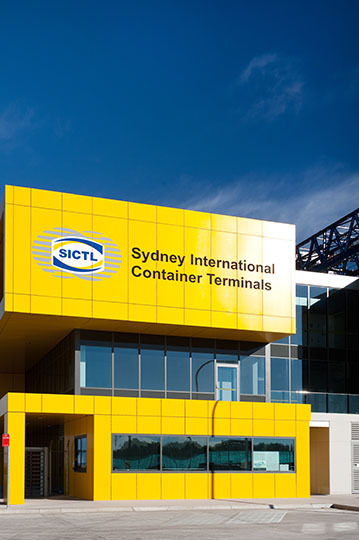 All five buildings have been constructed to follow industry best practices and house the latest in container terminal operations technology and high level security. 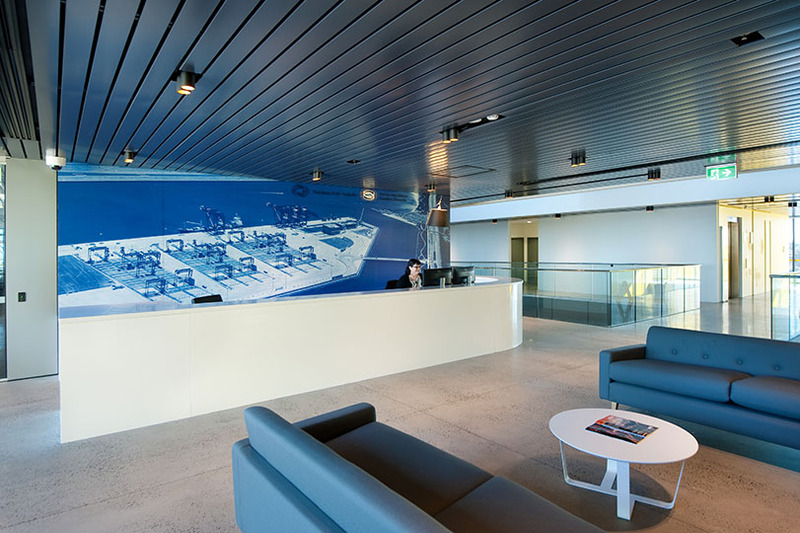 Due to the Client’s requirements and site constraints, the methods of construction varied across the buildings to be delivered. 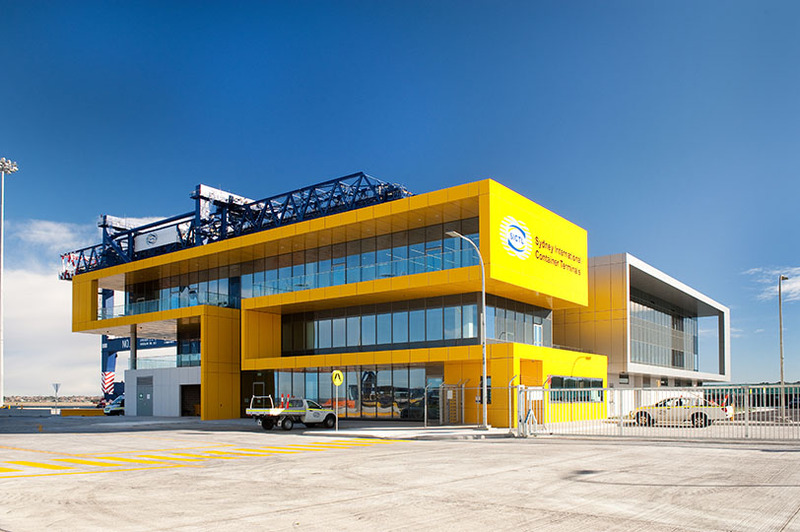 It was agreed with the Client that due to the site constraints imposed by the other builder onsite, who were delivering the infrastructure and civil works portion of the project, the three smaller out buildings would be best delivered as transportable and prefab offsite buildings. 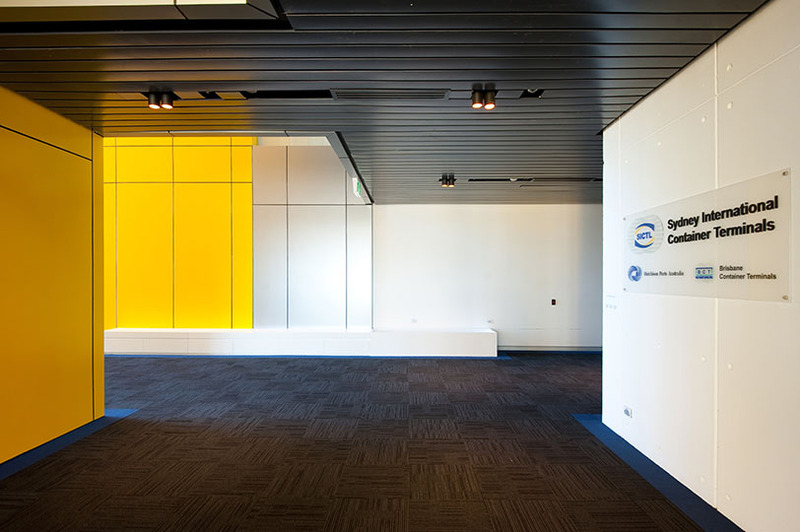 By doing this, there would be less impact from inclement weather and minimal interaction with the other site works, as well as a guarantied delivery and installation date. 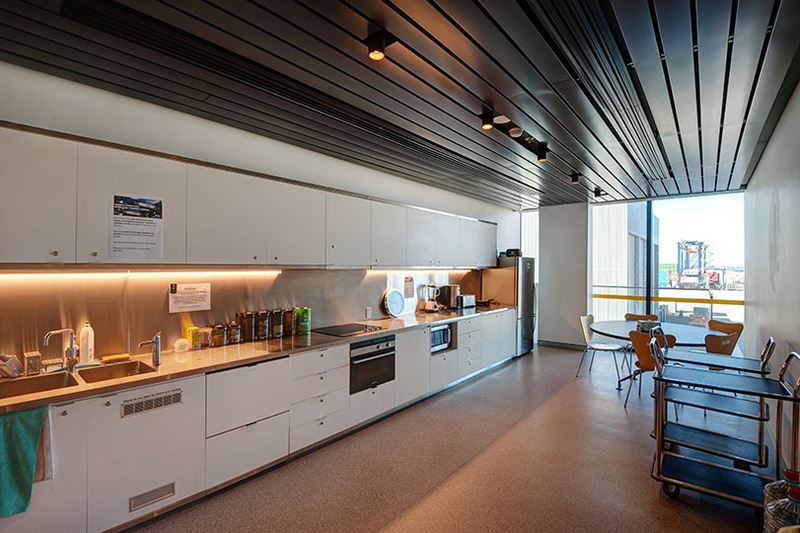 For the other two buildings there was a dedicated area within the overall site which allowed for conventional building of the Operations and Maintenance buildings. 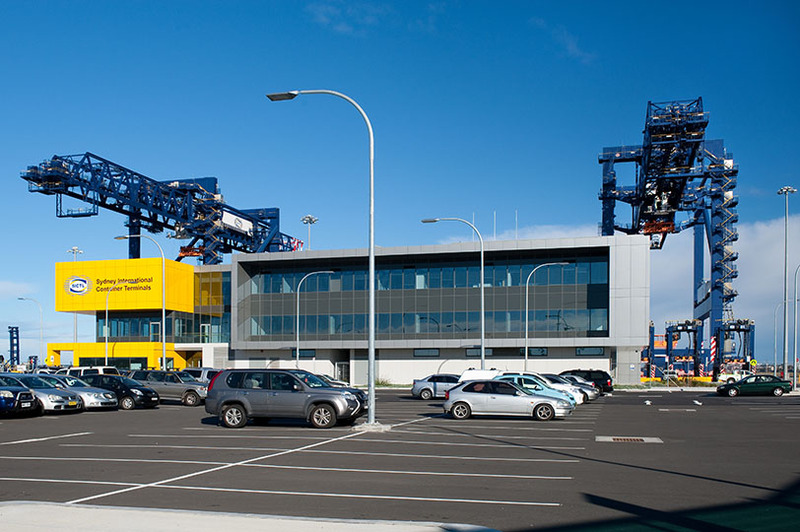 The three storey Operations building was a functional construction for the ship side workers who occupied the ground floor of the building, with the upper floors to be fitted out for management and clerical staff. This led to the construction of the building being in two styles. 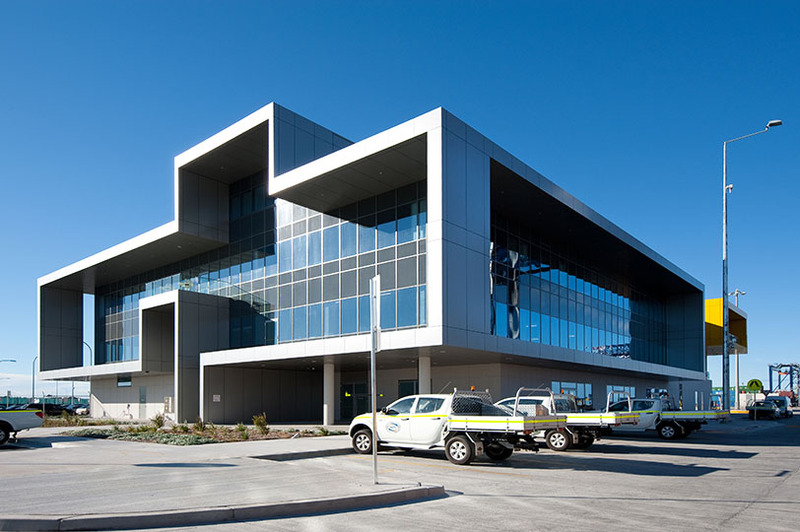 The ground floor has a rugged industrial finish with polished concrete toppings to the floors and external cast insitu concrete walls, while the upper floors are carpeted with glazed curtain walls and light weight aluminium composite clad façades to achieve a commercial feel. 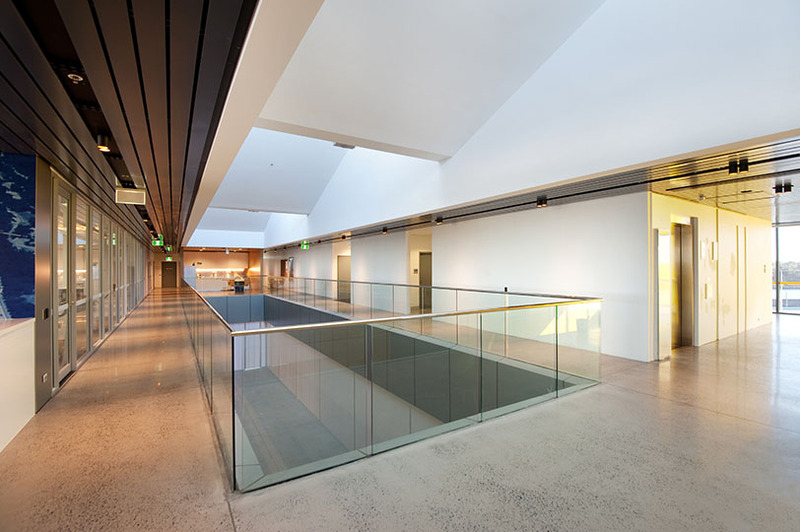 The structure of the Operations building mirrored the Clients intent of the finishes, with the ground floor being a high load bearing conventional slab on piles, while the suspended levels are post tensioned concrete slabs. 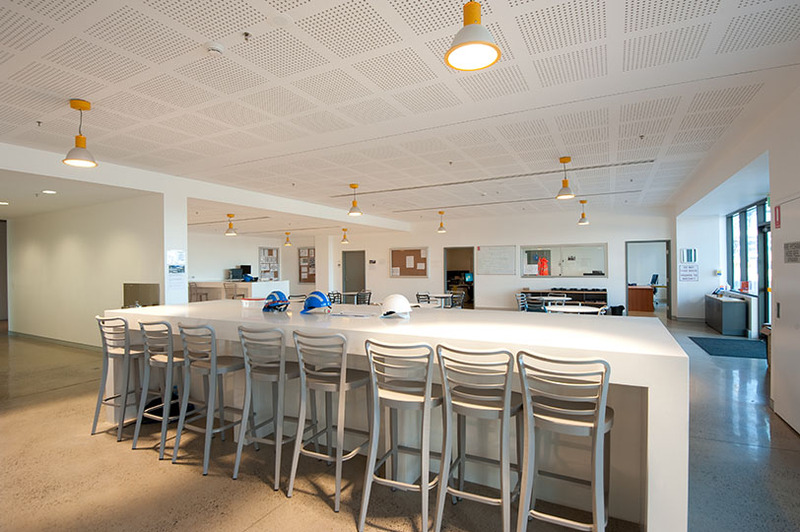 The Maintenance building was a composite construction with the front office and amenities area being a conventional four storey, concrete framed structure and the workshop area being a structural steel portal frame. The two structures sit on a high load bearing conventional slab supported by grout injected friction piles. 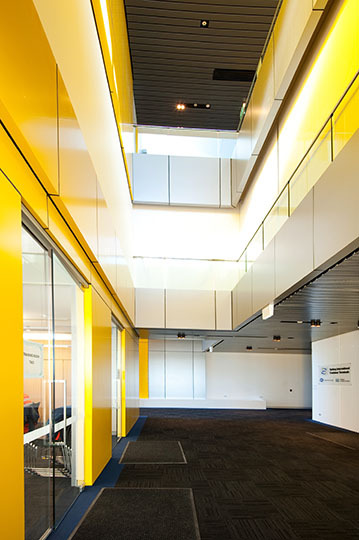 Both sections of the building were then overclad in high grade metal wall sheeting.